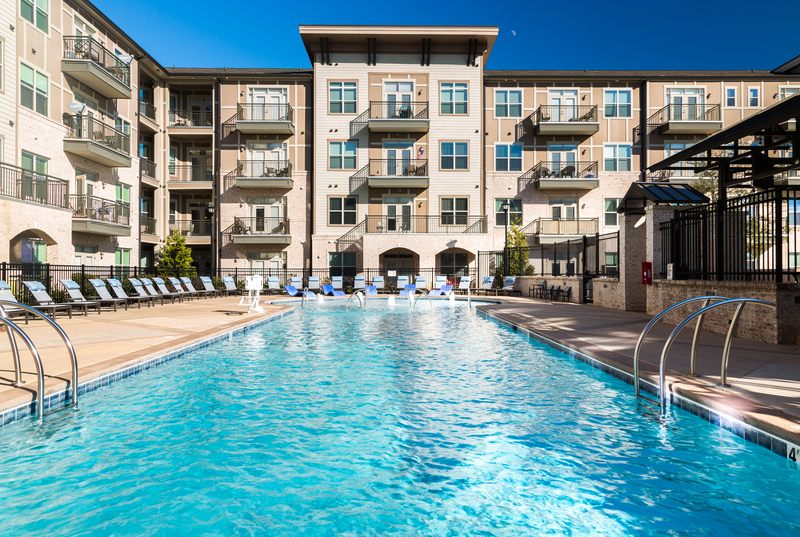 Bradford sets the bar for apartment living in Cary, NC, located at the intersection of Davis Drive and High House Road in the heart of the Preston area. This high-end community is a mix of deluxe residences located among boutique shops and restaurants. Home to the first Publix grocery store in Raleigh-Durham, the site design is focused on the pedestrian experience with special emphasis on a large public plaza for community events, lovely streetscapes and public art. Bradford apartment homes feature all you would expect from a custom builder; contemporary cabinetry, marble counters, ENERGY STAR appliances, luxury plank flooring, upgraded lighting and much more. Conveniently located minutes from the Research Triangle Park, I-40, NC-540, RDU Airport and Downtown Raleigh, residents will be in the center of the Triangle. Come experience the next big thing in Cary, NC. Experience Bradford, a Northwood Ravin signature community.